We are happy that we have the option to work everywhere throughout London, there is no district in the city that we cannot cover with our rubbish removal services. So, you are in the South-West? Fantastic. Call us and get same day house clearance South London! It is important to us to be close to our clients, it is important to keep you satisfied and we can provide that only if you choose us! We absolutely guarantee the best quality of house clearance service in South London! Our aim is to help our clients, clear their space, whatever the items are, no matter the area we need to clear! If you need full property clearance and the amount of rubbish is immense, we can send a team of three men instead of two and you will be charged for the amount of the rubbish, not for the extra hand, you can absolutely trust us and we will arrange your flat clearance South West London, so that you do not need to waste a minute of your time. We can handle with huge amounts of rubbish as well as with different kind of spaces – houses, basements, attics, garages, etc. We are responsible for you, as well as for the environment, we are Eco-friendly and you can be sure that all the rubbish will be taken to the right place, intended for the purpose. If you need us right now, at this very moment, we offer you our same day house clearance South London. We can be there sometimes within an hour and we will be ready to meet your expectations! If dismantling is needed, the team is always prepared, our professionals are fully equipped and ready for your full property clearance in South West London! Choose the best company for Property Clearance South West London! 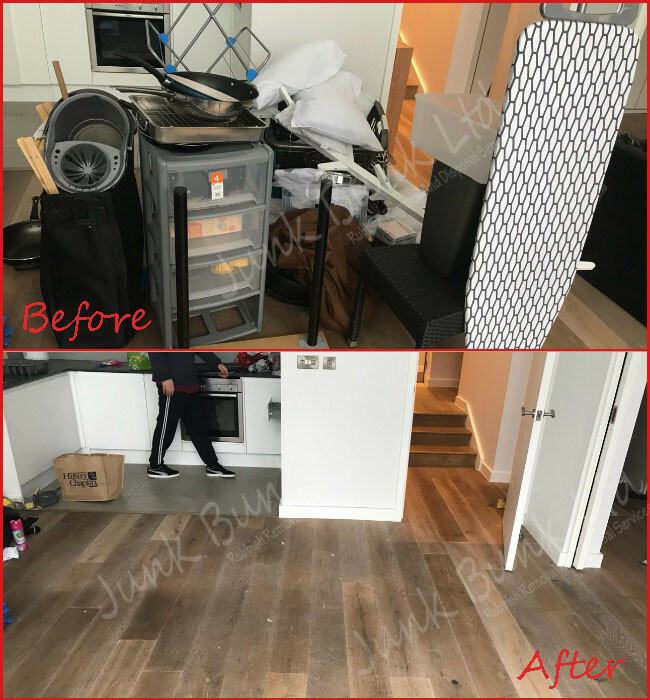 Our confidence is not accidental, we know what we do and we do our best to provide our clients with the best clearance service in South London, our publicity is your positive feedback, the more work we do and the better we do it, the more satisfied clients we have. Your opinion is important to us and that is why we strive to provide the best house & flat clearance services in South London! Contact us and leave the rubbish clearance to us, we are the solution you need! Call us on +442037692921 and have a rest while we work. Arrange hassle-free House & Flat Clearance South West London! Call now or email us a list of items for removal! You will be provided with a quick free quote! Arrange the house clearance service at suitable date & time slot for you! Our professional house clearance team will empty the property for you! Enjoy your free time while we complete the job!